Yassssss honey! Honey is the bomb diggity and is one of nature’s nurturers. Yeah I use it in my tea for a sore throat, but mannnnn had I known about the benefits of honey, especially Manuka honey, I would have saved myself from a lot of non-beneficial facial treatments and saved myself some money on much more. Try it: Spread one teaspoon raw honey on clean, damp skin, and let sit for 20-30 minutes. Rinse with tepid water. Honey gives dull hair a beautiful shine. I would save my money on this one and use regular organic honey as I have had great results with it as opposed to the more expensive Manuka honey. Try it: After shampooing, mix ½ cup honey with 1 cup of water. Warm them both. Pour over damp hair. You can sit with a plastic cap for approx. 10 minutes or put a warm towel over your head. Rinse with warm water and style as usual. 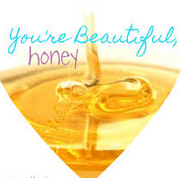 Honey has the ability to help with acne as it has anti-bacterial, anti-viral, and anti-fungal properties. With that being said, if your acne is caused by a bacterial infection, honey might help. But if you have acne due to hormones this might not do much for you, but it’s definitely worth a try. Try it: Rub a thin layer on your face. Let it sit for approx. 20 minutes and rinse off with warm water. You would want to use Manuka honey on issues as such, as it is in a more potent class of its own. Compared to other types of honey, Manuka has an extra ingredient with antimicrobial qualities, called the Unique Manuka Factor (UMF) or a potency grading scale. A rate of 12+ is useful and a rate of 16+ is very potent. Manuka honey has been known to regenerate cells growth. It also has the ability to moisturize and soothe cracked and damaged skin providing relief to those suffering from dermatitis, dry skin, eczema and even sunburn. Manuka honeys’ natural antimicrobial properties make it great for speeding the healing process of wounds as well. Try it: Apply one part honey and 1 part moisturizer such as olive oil and one part beeswax. Spread it on your skin and rinse off with warm water an hour later. For wounds you will want to spread a little honey on your bandage for a speedy recovery, and reapply 3 times a day. Papaya has enzymes that work as an exfoliate as well as pineapple. 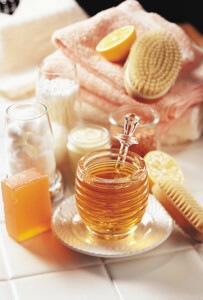 Honey works to improve and moisturize skin. Put these two together and you have a great facial exfoliator. Try it: You will need one tablespoon each of honey, pineapple, papaya, and cornstarch. Mix these together and apply to damp face while rubbing in circular motions. Rinse with warm water. There you have it beauties. So, grab a jar of honey and get with the program. Don’t forget… if you’re looking for some natural body care products to check out my products on www.JaysPreciousCargo.com.